Whereas the history of Christianity, from its Jewish inception to its current status in the western world, is well attested to and has been copiously documented, its Chinese course, for reasons we will soon discuss, is much less transparent. With multiple starts and stops, while often suffering periods of disenfranchisement and even open persecution and censorship, the Church in China has left less of a discernible historic trail than has its Western counterpart. Periods of severe oppression and governmental interdiction resulted in the destruction of many Christian artifacts, Church buildings and Christian writings that would have, had they not been destroyed, provided ample evidence for and verification of the origins and growth of Chinese Christianity. Thus, these archeological losses as well as the necessity that Christians in China often had to operate, as best they could, under-the-radar of the watchful eye of a wary government, has contributed to the muted voice of the Chinese Christian record. Perhaps partly in light of this paucity of historical attestation to the activity of Christians in China, as well as to the Western bias which has long underestimated and even undervalued the genuineness of Chinese Christianity, there has been, until recently, quite a dismal outlook towards the future of Chinese Christianity. My task, in the span of a few short pages, is a monumental one - in fact nearly an impossible one. I can, by no account, provide any more than a very rudimentary glance at such an enormous topic: the history of Chinese Christianity. It would be one thing simply to note or only list the historical events of such a vast subject, it is quite another to explore in any detail the cultural factors and socio-economic conditions that guided, influenced and even occasionally interrupted this story. My hope in this short paper must be by necessity, then, a very modest one: 1) to provide a very succinct sketch of the significant eras, events and prominent leaders of Christianity in China, and, 2) to consider in compendious form only a minority of the regulating elements that affected it and a few of the salient lessons and implications of its history. Bays, in his introduction to “A New History of Christianity in China” notes that he and other scholars have recognized that this important subject of Chinese Christianity has been a relatively understudied subject. What Bays sought to do in his book was not only to document and explore what the foreign missionaries did in China but also to look more closely at the subsequent picture of the rise of the indigenous Chinese Christians as they endeavored to establish and nurture this new faith in their homeland. Bays sees this process as “characterized by a persistent, overriding dynamic: the Chinese Christians were first participants, then subordinate partners of the foreign missionaries, then finally the inheritors or sole “owners” of the Chinese Church.” I propose, in this paper, to provide a concise but coherent narrative that will not only acquaint the reader with the keystone elements of historical Chinese Christianity but will also point him towards some of the implications of its present outcome. It is hoped that this might not only help the reader better understand China and its Christianity, but also enhance his or her own Christian expression experience. Before we embark on our survey, let’s first consider what we are up against. Though not intended to sound like a dossier of China population stats, the following data will help quantify, and perhaps thereby impress upon the reader just how important the subject of Chinese Christianity really is. Some perspective will prove invaluable. China’s vast population, estimated to have been fifty-nine million during the Han dynasty interregnum (the beginning of the Christian era in the West), is today about one and one-third billion… China’s Christian population is five percent of the population, which places it among the top ten Christian countries of the world, with only the United States, Brazil, Mexico, Russia and the Philippines, and Nigeria having greater numbers. Each of those countries has between fifty and ninety-five percent of their populations identified as Christians. To further complicate the question of how many Christians there are in China today, the Chinese government puts the number around 23 million, which Western scholars think is too low. Evangelical groups, who like to point to the growth of Christianity despite the Communist government, put the number at 100 million, which most scholars think is too high. In any case, scholars are predicting that China’s number of Christians, by the year 2030, will surpass America’s count of 243 million. Tellingly, “China is on Course to Become the World’s Most Christian Nation Within Fifteen Years,” was the title of the April 19, 2015 British periodical, The Telegraph. As for the number of missionaries in China, many estimates have been made comparing the missionary numbers of the past and those of the present. Even though it is believed that there have been more missionaries to China than to anywhere else in the world, fewer records have survived about China than have from most other destinations. Part of what has so radically shaped the overall landscape of the historical narrative of Christianity in China (the persecution and repression of personal liberties), is responsible also for this dearth of information and documentation. On four separate occasions missionaries were forced to flee China: at the Boxer Uprising (1900); at the time of the Northern Expedition (1927); during the early years of WW2 (1937-41); and at the time of the Communist victory in the civil war (1949). “When fleeing for one’s life, one does not think to carry along the records on the mission.” Hence, Lodwick cautions that great prudence is warranted when attempting to estimate numbers such as these. Of the major world religions to come to China, Christianity is generally held to be the second to arrive - after Buddhism and before Islam. As for the adherents of each, Stark gives the following numbers based on two large and reliable surveys: Buddhism 18.1%, Christian 2.7% and Islam 0.5%. As for membership in the two other Chinese religions, expounded in all the comparative religion books as part of the major Chinese faiths, that of Taoism and Confucianists - only a combined 0.8% of Chinese belong to these two religions. That leaves the remainder to be adherents of either the various Folk Religions or Atheists. As we move into an accounting of Chinese Christianity, to help digest such an expansive history, it may be helpful to conceive of seven different eras or “waves” during which the Chinese were converted to Christianity: 1.) Christian Infancy - soon after the death of Jesus and the following first few centuries, 2.) Nestorian missions - during the Tang dynasty of the 7th century, 3.) Mongol Rule and the Spread of Catholicism - during the Yuan dynasty (1206-1368), 4.) The Jesuits, Matteo Ricci, and the Spread of Catholicism - during the Ming (1368–1644) and Qing (1636–1911) dynasties, 5.) Protestantism and Evangelicalism – missionaries, mainly from Western Europe and America, arrive and evangelize during the 19th and early 20th centuries, and 6.) Indigenous Movements – like ‘The True Jesus Church”, “The Jesus Family”, “Little Flock”, and “Local Church” which, especially after the Cultural Revolution of the 1960’s and 70’s, began to grow. Also in this period would be included the state sponsored/state sanctioned churches as well as the unregistered churches. Regarding this timeline of Chinese Christianity, Bays points out that it wasn’t until after “two false starts,” and not until the 16th century that the Christian presence in China finally took root and became permanent. In this present work, the “true start” of Christianity in China would then coincide with my “wave four” as, understandably, he does not take into account the Apostle Thomas’s possible evangelistic sojourn into China. Frankly this can hardly be claimed as a definitive wave of Christianity since evidence for this is unclear and a matter of some debate, but as a possible explanation for the origin of the first Christian presence in China, it should at least be considered. Today, some historians are inclined to link the source of Christianity in China to the Apostle Thomas. Having gone to India and taken the gospel there, it is believed that he later turned to China, preaching and teaching there, until he finally returned again to India where he later died. There are several indicators, though these are by no means conclusive, nor even necessarily persuasive, in support of the Thomas in China idea. First, in the 1980’s some interesting bas-relief sculptures were found on a rock face at Kongwangshan, in Jiangsu Province, near the city of Lianyungang. For many who came to China by sea this was the first port of entry and an important city in ancient times. Archaeologists have dated the sculpture to the Mingdi emperor (57-75) and the Later Han dynasty (25-220). Depicted on the sculpture are the images of three persons. Originally they were held to be Buddhists figures but over the last five to ten years this conclusion has been drawn into question. Others now claim these figures are more likely Christian and may even represent the Apostle Thomas, Mary the mother of Jesus, as well as “a variety of candidates for the third.” Also the Mar Thomas Church in India, which claims to have been started by the Apostle Thomas himself, has never questioned the alleged visit of Thomas to China. Additionally, later, the great Jesuit missionary to China, Matteo Ricci, would also encounter references, albeit ambiguous ones, to the Apostle Thomas in China. Interestingly some scholars and historians of this persuasion (including authors of a 2008 book which advocated the Thomas-in-China thesis) also claim that “rather than Buddhism setting the bar for other religions, Christianity may have influenced Buddhism, which was just in its formative stages in China at the time.”  In the end the evidence is far from clear and certainly not persuasive, “but it is probably safe to assume that some form of Christianity made its way across the great Eurasian landmass in the early centuries of the Christian era, with the nomadic tribes who roamed along the Silk Route, stopping at the oasis towns to trade.” In keeping with Jesus’ final words to his disciples, just after his miraculous resurrection and reappearance to them, to go into the entire world and proclaim his gospel, it is quite conceivable that they or their immediate successors would have indeed gone east into China with their life-changing message. The way does not have a common name and the sacred does not have a common form. Aluoben, the man of great virtue from the Da Qin Empire, came from a far land…his message is mysterious and wonderful beyond our understanding. The message is lucid and clear; the teachings will benefit all; and they shall be practiced throughout the land. Although we do not know a great deal about Tang Nestorian Christianity, we do know a broad outline of its fate. A massive internal rebellion nearly toppled the Tang dynasty in the 750’s such that native elements began to revive. Confucianists and other cultural conservatives began to decry the foreign influence among them and, in turn, an anti-foreign-religion sentiment began to emerge. In 845 this culminated with an imperial edict limiting all foreign religion, including Christianity. Emperor Wuzong (814-846) a zealous Taoist, decreed “all foreign religions be banned. The once accommodating court grew inward-looking and xenophobic.” “The edict triggered a period of persecution, and, by the end of the Tang dynasty in 907, Christianity had all but disappeared from China.” It would not be until the coming of the Mongols and their subsequent establishment of the Yuan dynasty that a significant presence of Christianity would reappear in China. It was the Mongols who gave Christianity its next safe haven, at least for a time. Bays states that “just as the “pax Romana” during the first two centuries imposed sufficient security on the Mediterranean basin for the apostles to make missionary journeys far and wide, the “pax Mongolica” imposed by the Mongols made possible the first direct European Christian contacts with China.” It was then that the Roman Church, in hopes of both avoiding future hostilities with the ever-advancing warring Mongols and in hopes of forming an alliance whereby they could oust the Islamic defilers of Jerusalem, began in earnest to send missionaries to China. Upon their arrival, these European friars discovered among the Mongols many Nestorian Christians. How is that? Prior to their arrival Nestorian Christianity had remained prevalent “in its core area of Persia and many Persian Christian merchants plied the trade routes of central Asia, where they had considerable contact with a Turko-Mongolian tribe called the Keraits.” As a result, by the 13th century nearly all of the estimated 200,000 members of the Kerait tribe had converted to Nestorian Christianity. Importantly, the Keraits were an ally of the Mongol subclan, which would later produce the famous Genghis Khan (1162-1227). Genghis, through a carefully planned set of alliances, took three daughters of the Kerait royal family (each of them Christians) as wives, marrying one of them and providing wives for two of his sons with the others. It was the wife (a Kerait Christian princess) of his fourth son, who would become the mother of three emperors - one of whom in 1279 would become the founding emperor of the Yuan dynasty in China, Khubilai (1216-1294). “Under Kublai Khan, Dyophysite Christians returned to the centre (sic) of power in China. After nearly three centuries in which their presence had been scarcely perceptible, they revealed themselves from generations of outward profession of other Chinese religions, which had official favour. (sic)” MacCulloch goes on to describe how, in keeping with old patterns, history repeated itself when the Yuan rulers of China began to conform themselves to the “rich and ancient culture which they had seized; and, worse still, successive Yuan monarchs showed themselves steadily more incompetent to rule.” Their overthrow then, by the Ming dynasty in 1368 was inevitable, though regrettable for other reasons. The Ming’s were a “fiercely xenophobic native…dynasty” and so this was a bad blow to Christianity in the empire. Prior to the Ming ascension the Mongol court was open to Christian missionaries and even turned over the administration of parts of northern China to Christian tribesmen from Central Asia. From Rome, as already mentioned, the pope also sent Franciscan and Dominican missionaries, in an effort to establish ties with Eastern Christians and to form an alliance with the Mongol empire. Additionally, Italian merchants founded Catholic communities in major trading centers; among them were two brothers from Venice, Niccolo and Maffeo Polo, who brought along Niccolo’s son, Marco. It was Marco’s famous Description of the World, which he wrote after spending some sixteen years plus in China, to which we owe much of our knowledge concerning the distribution of Nestorian Christians in Yuan China.” However, in spite of Nestorian Christianity’s impact on the Kerait tribes -- and, secondarily then, on the Mongols, upon the demise of the great Yuan dynasty -- once again, Christianity appeared to all but vanish in China. Hence, China’s second period of Christian growth came to an end when the armies of the Ming dynasty expelled its protectors, the Mongols. It was the Jesuits that were tasked by the Papacy with this missionary calling. The Jesuits (The Society of Jesus), founded in 1540 by a zealous and inspirational young priest and theologian, Ignatius of Loyola (1491-1556), not only took vows of poverty, chastity, and obedience, but also promised, “…a special obedience to the sovereign pontiff in regard to the missions.”  It was Loyola’s zeal for missions that sparked a renewed European effort to bring Christianity to China. Francis Xavier, one of Loyola’s faithful disciples and a Jesuit cofounder, was assigned to the East Indies. Working first in Goa, India, he then pioneered missionary efforts into Malaysia and Japan, finally dying of disease on the small island of Shaungchuan, off the southern coast of China. It was there, frustrated by the Chinese refusal to permit permanent entry and long-term residence into Mainland China of its missionaries -- just off the coast of modern Guangzhou, that he waited in vain, and died, unable to gain passage inland. Though Xavier did not personally see his dream realized in China, notwithstanding his earlier work that spawned immensely successful evangelistic efforts in both India and Japan, it was his prodigious decade of Asian missions that opened the door for further evangelistic missions to follow in China. It was by no means, though, a wide-open door. Much challenge lay ahead for the Catholic missionaries. Up to this point their access to Mainland China was limited to Portuguese trading ports, such as Macau, on the south coast of China. Here, the traders and missionaries, unable to relocate inland, could reside year-round and were, at least, permitted travel access to Gaungzhou (Canton) for the trading season. Try as they might, though, their evangelistic efforts remained coastland bound. For a while it seemed like China was a stonewall and the missionary effort of Christianity into China, a non-starter. The breakthrough did not come until 1582-1583 when the Italian Jesuit Michele Ruggieri finally gained permission to reside permanently in China. Once there he diligently set about the task of learning the Chinese language. Ruggieri fortuitously chose as a partner, the now famous Italian Jesuit Matteo Ricci, one of the most talented and effective missionaries in all Eastern missions’ history. Though much of the writing about Matteo appears hagiographic, that is not to say that he is not to be appreciated and admired for his hard work and great accomplishments on the mission field. He was extremely successful. Ricci, the first prominent member of the Jesuits to have a place in China’s history, out of all the individual missionaries to have set foot there, is the one person whom many educated Chinese are today able to name. The early Jesuits who arrived in China came to a culture of which they knew very little and understood even less. There was a clash of cultures. “Traditional Chinese society was patriarchal, patrilineal, and patrilocal, and each person knew his or her place based on the traditional hierarchy of emperor to subject, father to son, elder brother to younger brother, husband to wife, and friend to friend, termed Confucian relationships by Western historians. Only the last relationship was based on equality, not bloodlines or marriage.” Christianity, on the other hand, espoused a message of equality in relationships. Another challenge for the Chinese inquirers was the exclusivity that Christianity demanded. For the Chinese, it was common to practice whatever indigenous folk religion was common in a geographical region along with a syncretic blending-in of Buddhism and Taoism. Why couldn’t Christianity just be grafted onto the beliefs that they had been practicing for generations? · Accommodation and adaptation to Chinese culture. · Evangelization from the top down, addressing the literate elite, even the emperor if possible. · Indirect evangelism by means of science and technology to convince the elite of the high level of European civilization. · Openness to and tolerance of Chinese moral values and some ritual practices. It was also Ricci who, early on, set his sights on Beijing and its imperial court, and who determined to gain permission to live there on a permanent basis. In 1602 he finally did so, the first missionary to accomplish this since the Mongols left China. In the first few decades of their missions, the Jesuits overwhelmingly centered on urban missions, acquiring excellent language skills and striving to make converts from the elite class. This they did, converting the “three pillars” of the Church – Xu Guangqi (1562-1633), Li Zhizao (1565-1630) and Yang Tingyum (1562-1627) – all high degree-holders and officials of the late Ming dynasty. It has been this work, focused on the missionary efforts of Beijing and its upper classes, as well as the elusive hope of an Emperor conversion that has been the focus of much, if not most, of historical scholarship on the Catholic mission. Bays interjects, however, that though the attention of most scholars has remained fixed on the missionary activities at court, “the real action, and I would claim the real significance, was elsewhere.” In the 1630’s, the Jesuit monopoly on China missions, having given way to the influx of other missionaries, including Spanish Franciscans, Dominicans and Augustinians, and especially those arriving as newcomers towards the later part of the seventeenth century, were no longer wedded to the now century-old strategies of Valignano and Ricci. By 1700, not only were the Jesuits still working at the court and elsewhere in Beijing, but a “great many Jesuits, and virtually all of the mendicant friars, were scattered across the empire creating and maintaining local rural-based Christian communities.” Soon, this harvest in the rural mission field produced a deficit of clergy leadership. More and more duties were handed over to Chinese catechists and other lay leaders as helpers. To help with this need, a few pious young Chinese men were trained overseas in Seminary and returned as priests to serve the burgeoning Church. As a result of this proscription of Christianity in China, which would last nearly 120 years, and in combination with the concurrent dissolution of the Jesuit order by the Pope in 1773, it became increasingly difficult for the foreign missionaries to effectively service the priestly needs of the Christians in China. Consequentially, various Christian “orders developed plans to increase the number of Chinese clergy.” Nonetheless, in spite of its classification as a heterodox ideology, this period was not one of uniform Christian persecution. On the other hand, just as is the case today, Christians remained vulnerable to various persecutions, arrests and other forms of harassment, even though they were not forthrightly barred from practicing their faith. Understandably, the foreign priests remained more vulnerable to arrests and deportations, as it was more difficult for them to hide their identity. All told, these factors worked together, with the net result that indigenous Chinese Christians, by necessity of these conditions, began to take greater leadership in the functioning of the Church; albeit with more assimilation of native traditions and cultural influences than was known prior. Thus by the early decades of the nineteenth century the long history of Catholic missions had resulted in a small but resilient Chinese Church, which was forced by the circumstances of its illegality to do without hands-on European management. Not surprisingly, the Chinese Christian communities made their own way forward, reconciling Chinese culture with their Christian identity as instinct and practical experience lead them. It was into this milieu that the first Protestant missionaries came, mostly European and American, over the first several decades of the nineteenth century. All of them, however, until after the Opium Wars of 1839-42 (and 1856-60) and the treaties that subsequently followed, still remained limited in their activities, residing in Macau and utilizing the short trading season as an opportunity to travel and work in Guangzhou as well. Similar to the Catholic missionaries before them, like Ricci, they longed for the day when they would enjoy unrestricted access to all of China, but instead, in the first decades of the 1800’s, they remained cloistered in their small Macauan enclave. During this time and shortly thereafter, there were upwards of fifty Protestant missionaries to China. Here we will mention only a select few who played pivotal roles and had significant impact on the Protestant China mission enterprise as a whole. Scotsman Robert Morrison (1782 – 1834), sent by the London Missionary Society, arrived in Macau in 1807 and was the very first Protestant missionary to China -- and henceforth, for other good reasons as well, became one of the most well-known. All told, before the outbreak of the Opium War of 1839, altogether from 1807 on, a “total of about fifty Protestant missionaries had been assigned to China, but only a handful had stayed for any length of time.” As for actual conversions, they were very few, totaling less than one hundred for the whole Protestant effort as of 1839. Suppressed by their status as an illicit religion, hampered by the significant challenge of learning and using the Chinese language, and restricted as they were to the Macau – Guangzhou axis, the Protestant missionaries “were certain that if they could only obtain access to the interior of China, conversions would increase dramatically.” Fortunately, this opportunity was soon to come. However, with the first Opium War ended, the treaties were enacted. The most important provisions of the first set of treaties (those enacted at the end of the first Opium War – more were to come at the conclusion of the second) were: 1) extraterritoriality (foreign citizens coming under the authority of their own consular as opposed to Chinese jurisdiction), 2) Christianity would no longer to be legally outlawed, 3) the opening up of five coastal cities for trade and residence for all foreigners as well as the right to build churches, schools, missionary residences etc. in these cities, and 4) the return of all former Church buildings to the Christians, regardless of their present status. Of course this provision benefited the Catholics only as there were no Protestants, and thus no Protestant properties, in China prior to the entry of these first Protestant missionaries at the turn of the nineteenth century. With the opening of these five “treaty port” cities of Guangzhou (Canton), Xiamen (Amoy), Fuzhou (Foochow), Ningbo, and Shanghai, as well as the ceding of Hong Kong in perpetuity to Britain as a crown colony, the protestant missionaries now enjoyed a wider scope for their activities. New denominations appeared on the list of Protestant missionary societies, most of them moving their headquarters to Shanghai. The missionaries now began preaching to the urban populations, training helpers and Chinese evangelists as well as engaging in extensive written communications, chronicling their efforts and results.” Still, though, the missionaries remained stymied in their efforts to move beyond these few cities. Its first ideologue and leader, Hong Xiuquan, having failed his civil service entrance exams (indisputably essential in China for upward mobility), in a state of high anxiety and stress began reading Christian books, encouraged by a young American missionary. Soon Xiuquan, convinced by visions that he had been chosen by God, as His son and Jesus’ brother, for great leadership, amassed a tremendous following among the disenfranchised of southwest China. His movement, fed by an incendiary combination of “nostalgia for the Ming dynasty, traditional rebellious zeal to end corruption,” and a concoction of various Christian concepts, especially those of an apocalyptic nature, united his followers with consequential results. He eventually created his Heavenly Kingdom of Great Peace creating an entire governmental structure with a sizeable army. Before it ended, the Taiping rebels controlled fifteen of the eighteen provinces of China below the Great Wall. The rebellion eventually took over most of south central China, ruling over some 30 million people, and wreaked catastrophic results before it was finally subdued when imperial troops led by European officers stopped him at Shanghai. It proved to be the most destructive civil war in all of history, dwarfing the contemporary American Civil War and nearly outstripping the mayhem caused by the Second World War a century later. The Taiping Rebellion finally concluded having caused an estimated 20 to 30 million deaths, most of them civilians. Even while the Taiping war raged into the late 1850’s, the Qing court was confronted with yet another military action, this time by a British-French consortium. What seemed like a natural course at the time would be viewed now with disdain and rightly labeled “imperialism” with all the negative connotations conjured up by the term today. The intervening Occidental powers hoped here to settle once and for all the issues left unsolved to their satisfaction by the treaties of 1842-1844. This war, which lasted from 1856-1860, resulted once again in a round of unequal treaties favoring the Western victors. In the signing of these treaties the missionaries finally gained more of the freedoms they had so desperately wanted and needed to help propagate their evangelistic efforts. The treaties contained provisions giving the missionaries the right to work in China, to own property and to travel beyond the treaty ports. As a result the missionary societies escalated their efforts with a corresponding increase in both missionaries and converts. “By 1893 there were 1,243 Western Protestant missionaries [in China] with a claimed total of 55,093 active Chinese converts.” Predominantly, Great Britain and America fueled the missionary efforts of the Protestants in China. In 1877 there was a combined twenty-five different denominations with missionaries there, but by 1910 that number had risen to forty-four American and nineteen British. A total of sixty-three denominations were then active in sending and supporting missionaries to China. During this time, from 1860 through the end of the nineteenth century, the young Chinese Protestant Church was putting down roots of community that constituted a solid foundation for the future. This period was marked by rapid growth of the foreign missionary establishment among Protestants, during which time they were becoming a more diverse spectrum of missionary establishments in China. “During these decades, several Protestant urban congregations served by Chinese pastors developed the capacity to support themselves financially and to operate on their own, without being under close missionary supervision. In fact, during these years Protestant Christianity became a true Sino-foreign endeavor, though the role of the Chinese was often in the shadows.” Though Stark puts the number of Protestant converts by 1893 at approximately fifty-five thousand, Bays estimates that by 1900 there were one hundred thousand. There was growth among the Catholics as well, but due to their inherent allegiance to a foreign power, Rome, and the necessity of more strict clergy involvement, there were fewer cases of real Chinese and foreign cooperation. The airtight control of the Catholic Church also denied the Priests much of a real voice in managing their local affairs; despite the fact that their role in the growing Church was essential. There was an immediate reaction from the west to the changes brought about by the latest treaties of 1858-1860, wherein the entire country was opened up to foreign travel as well as to the acquisition of property and subsequent erection of buildings upon these leased or owned lands. “Indeed in the years after 1860 all over China the number of Protestant Missionaries in China exploded, from barely 100 in 1860 to almost 3500 in 1905. It was an astounding increase, considering that it had taken more than 50 years from Morrison’s travel there in 1807 for the numbers to reach 100.” The massive increase in Protestant missions of this time was due also, in great part, to the increasing efficiency and professionalism of the missionary societies of Europe and North America. Even as the majority of missionaries continued to operate under more formalized and structured missionary society entities, there were those that took the opposite route. · The CIM “sought no support except that of God himself,” all confidence was placed in divine provision. He was determined never to divert funds from other missions. · Taylor appointed laypersons, not clergy, as missionaries. In fact, even from the outset when he and twenty-one others arrived as the first contingency of the CIM, not one of them was ordained clergy. He did not even require any college training among his candidates. · Taylor adopted a non-urban strategy and so they developed relatively few supporting entities such as schools, hospitals, etc. Those schools that were developed were to educate their children in China and not send them back to Europe for their education, as was the universal norm. · In order to more effectively identify with the local peoples, the CIM was the first mission to adopt the practice of wearing traditional Chinese garb as a matter of policy. · The CIM was among the first missionary groups to allow large numbers of women to serve as missionaries – even to work in the countryside without male accompaniment. Many at the time saw this as scandalous. Taylor was charismatic and effective in his role as leader of the CIM. Back home in England he solicited the masses for support of his grand mission in China. Starting with just his original 22 missionaries in 1866, the CIM grew to 322 in 1888, and to 825 in 1905. By then the CIM had grown to be the largest missionary society, almost three times larger than the British Church Missionary Society (CMS), the next largest group. Taylor’s success was additionally elevated by the highly publicized recruitment of the “Cambridge Seven,” seven aristocratic young Cambridge graduates. This event, “one of the grand heroic gestures in nineteenth-century missions, catapulted the CIM from comparative obscurity to an almost embarrassing prominence.” Taylor also worked closely with the YMCA and YWCA, utilizing as well, significant publicity wrought by his effective publications, prime among them: the “China’s Millions.” All of this helped to fuel the stunning growth and compelling impact of the China Inland Mission. In the late 1890’s, even as 1) some degree of “Christian influence” was seeping in through the walls of the imperial palace in Beijing to coalesce around the emperor; 2) newly politicized, urbanized elites became alarmed at China’s weaknesses and vulnerability; and 3) those same elites took the unprecedented steps of organizing themselves and expressing opinions on government policy – two other results came into being as a result of these developments. These were the seeds of modern nationalism…identified in the activism of these elites, and a related phenomenon, the emergence of a modern public opinion. Soon, nationalistic fever, as well as the smoldering frustration of repression among the Chinese, fomented into an uprising that came to be known as the Boxer Rebellion or the Boxer Uprising. By the end of the nineteenth century the Western powers, via the Opium Wars, as well as Japan by way of the Sino-Japanese war, had enacted millions of casualties on the Chinese. In the late 1890’s this secret group, the Society of Righteous and Harmonious Fists (the Boxers), had begun to carry out sporadic but regular attacks on foreigners and on Chinese Christians. In 1898-1900 Christianity, foreign missionaries and Chinese converts alike became targets of mass and official violence on a scale that dwarfed that of the “Tianjin Massacre” just twenty years earlier. What began as seemingly low-level activities of Boxer violence perpetrated upon both missionaries and Chinese Christians escalated in the spring of 1890 culminating in the now famous siege of the Legation Quarter in Beijing not far from the Forbidden City. Four hundred and nine poorly armed American and European embassy guards barricaded themselves in behind the Embassy walls. It was with the Empress Dowager, Cixi’s, support that imperial military forces joined the siege where, for forty-five days, the embassy guards stood firm against the onslaught of thousands of Boxers and thousands of imperial Chinese troops. The siege was broken by the arrival of a large, eight-nation expeditionary force in August of 1900. Outside of Beijing, the Boxers killed all foreigners and Chinese Christians within their reach. Unfortunately, by the end of the uprising, some 30,000 Chinese Christians were killed as well as 47 Catholic priests and nuns, 136 Protestant missionaries and 53 of their children. Some of these were raped before death and were killed in gruesome manners. After its suppression, the Chinese were again forced to sign a treaty. In September 1901, the Protocol of Peking (Boxer Protocol), in which major reparations were stipulated, was affirmed in writing. Ironically, the great tragedy of the Boxer Uprising ushered in a period of more than two decades during which time the foreign mission enterprise in China, as well as the Chinese Christian communities at large, seemed to flourish. In fact, when the Republic of China came into power after the toppling of the Qing dynasty in 1912, China had its first Christian (Protestant) provisional president; Sun Yat-sen. Measures of raw numbers similarly document the vitality of the Protestant missions of this period. “Protestant growth between 1900 and 1915 was impressive by all indices.” The number of foreign missionaries increased from 3500 in 1905 and 5500 in 1915 to 8000 in the 1920’s. The numbers of Protestants grew as well: 100,000 in 1900, with 270,000 communicants (330,000 baptized) in 1915 and 500,000 in the 1920’s – “before the storm of mass nationalism hit.” Sadly though, this storm of mass nationalism was soon to come. Before we go on to look at the cataclysmic changes to come, wrought by the resurgence of Chinese nationalism, a comment is in order about the changing nature of the Chinese Church, which began to surface during these years of relatively unrestricted and unhindered growth. With this growth came new developments. During this time, the Chinese Protestant community was coming into its own, and developing more of a sense of autonomy, moving more and more towards independence from its foreign missionary leadership. It was during this time too, reflective of this growing independence (if not divergence) that the last of the great missionary conferences, in which all groups were represented, in spite of their doctrinal differences, was to occur. Regrettably, this unity did not last much past the end of World War I. “The broadened spectrum of Christianities now available could not easily co-exist. The old consensus was already disintegrating even as preparations were being made…for the National Christians Conference of 1920.” Doctrinal differences began to emerge such that genuine collaboration among the churches and among the missionary societies became increasingly difficult. Frankly, on some fronts, what began to transpire in China was representative of what would happen worldwide among Christians everywhere – the emergence of the “Fundamentalist-Modernist” controversy. The divergence of theologies regarding this issue, as well as others to come, would lead in various ways to a greater diversification of the Chinese Church. In the mid 1930’s, foreign and Chinese Christians were arrayed along a wide spectrum of varying types of missions, churches, Christian organizations and movements. On one end of the spectrum were the Church of Christ in China (CCC) and the National Christian Council (NCC) where nationalism and social conscience served as core motivators; further along the spectrum were the more distinctly conservative elements of mission groups and churches. This included the Chinese Inland Mission (CIM) of Hudson Taylor as well as other groups including Presbyterians, Lutherans, Methodists, the Church of the Nazarene and the Assemblies of God. And finally, there were many “one person” faith missions scattered among the others, all of these groups stressing more the conversion and regeneration of the individual than that of society at large. Finally, along the opposite end of the gambit from that of the CCC and NCC, were scores of new churches, “wholly independent and without any foreign leadership whatsoever, although each of the founders of these movements was influenced by foreign Christians at times early in its development.” These Churches are not only interesting to examine, they have also become an important subject of discussion among scholars investigating the Sino-Christian field of studies. Following, I will look at three of these: The True Jesus Church, The Jesus Family and the Little Flock and Local Church. The True Jesus Church had its beginnings when, in 1916, founder Wei Enbo in Zhengding, Hebei Province, had hands laid on him by a Pentecostal preacher in order to heal his tuberculosis. Healed, as he thought, Wei became an impassioned Pentecostal with claims that he had received the Holy Spirit and the gift of Tongues. Soon thereafter he was “led by the Spirit” to a river outside Beijing where he heard the voice of God and was especially chosen and empowered to “kill the demons” (which he forthright did, right there at the river, chasing and destroying the demons in some otherworldly confrontation) and “correct” the Church, meaning all Christian churches. Embarking on a 39-day fast, during which he encountered Jesus and the twelve Apostles and received his new name, Paul, Wei emerged ready to do God’s bidding. Soon he and his followers were visiting mission churches in and around Beijing, denouncing Western Christianity, and calling parishioners out of those churches. The True Jesus Church (TJC) “doctrines and practices are a unique eclectic combination of sabbatarianism…Pentecostalism…and a kind of Jesus only Unitarianism… all of this packaged in a radical egalitarianism.” Additionally, Church workers were not to receive pay; worship services were to have no time constraint limits and all members must be given free rein to speak, pray and otherwise participate in the services. Unfortunately for Wie, he was not cured of his Tuberculosis, and so died of its complications in October 1919. His Church, though, continued to grow and even flourish. By the time of the Sino-Japanese war, the TJC was likely the second largest Protestant Church in China – second only to the Christian Church of China (CCC). It is still thriving today. The founder of the Jesus Family (JF), Jing Dianying (1890-1957), was himself not a peasant but was from a well-educated, fairly wealthy family. Bringing together a mix of experiences and teachings from Methodism, Confucian ethics, Daoist mysticism and Millenarianism, in 1921 he started a Christian silk-making cooperative, from whence would come The True Jesus Family, the name this group would soon adopt, in 1927. All who joined the JF were to give up and share all their possessions with the community, partake in productive work, and engage several times daily in periods of prayer and worship. Individual ecstatic experiences were not unusual and in fact were desired and prized among the participants. Soon more groups similar to this one sprouted up; each with a “family head” leader who exercised the same extensive control over its members as did Dianying. Though the JF had nowhere near the number of adherents as did the TJC, its egalitarian culture was attractive to many, and provided a life of simple subsistence, along with an intense religious experience for its members. Born in 1903, Ni Shu-Tsu was the son of a customs official and the grandson of a “gifted Anglican preacher.” While attending the Anglican Trinity College in Fuzhou, Nee was converted during a revival meeting at just seventeen years old. Only five years later, in 1925, he would change his name to Ni To-sheng, or Bell-ringer, translated into English as Watchman Nee, and found his first Church in Sitiawan. The following year, he opened his second Church and in 1928 he built a three-thousand-seat assembly hall in the center of Shanghai. While there in Shanghai, Nee gave himself to extensive reading of the mystic, Jessie Penn-Lewis, and subsequently produced the lengthiest book he ever authored, the three-volume, The Spiritual Man. Just as most other independent Christian leaders were learning about and adopting Pentecostalism, Nee investigated it as well, “but chose a slightly different path to spiritual transcendence.” Nee’s theology centered on “the mystery of the cross” or “the truth of the cross” - that is, “the realization for the Christian that, ‘I am dead with Christ,’ enabling the believer to live in victory over the world’s evils.” Additionally, Nee enumerated an elaborate theology of Millenarian flavor, of an end-time cataclysm. Nee’s congregants were mostly of middle- and upper-class strata, and more urban than rural. He strongly rejected denominationalism and was adamant that he and his followers adopt no sectarian name. He refused to allow his followers to call themselves by any particular name. His emphasis on the “local Church” or ‘one Church in each city” lead to his groups being referred to as the Little Flock or the Local Church. By 1933, Nee claimed to have more than one hundred Churches spread all across China. · 1912 - Demise of the Qing, the last of the Imperial dynasties. 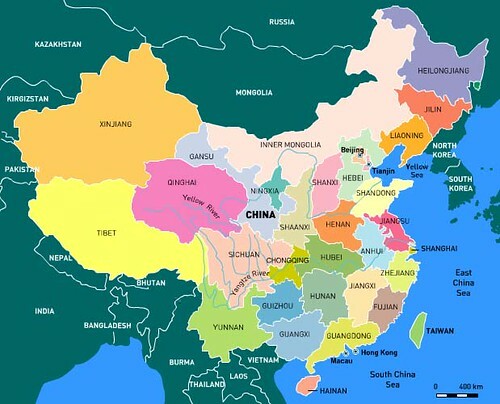 · 1912 - Republic of China (ROC), a Nationalist party comes to power in Nanjing, ruling until 1949. Nationalists. In 1949 the ROC took control of Taiwan, which is now the modern-day ROC. · 1921 – Founding of the Chinese Communist Party (CCP) as both a political party and a revolutionary movement in Shanghai, China. · 1924 – the CCP joins with the Nationalist Party. · 1927 – Nationalist party (ROC) turns violently against the CCP, which is driven underground. · 1949 – CCP establishes the People’s Republic of China (PRC) formed after a 23-year civil war fought against the ROC (1927-1949). This communist government enacted sweeping changes in the socio-political order. A strong sense of independence and nationalism was fostered. Ties were established between state and Church in order for existing churches to remain active. · 1954 – Organized in 1951 but granted official government sanction in 1954, The Three Self Patriotic Movement (TSPM) announced to help ensure national loyalty and to help make the Church distinctly Chinese. Self-governance, self-support and self-propagation were the goals. · 1966 - 1976 - The Great Proletarian Cultural Revolution occurred. This was a socio-political movement enacted by Chairman Mao of the Communist party, aimed at purging remnants of capitalist and traditional elements from Chinese society and re-imposing Maoist thought as the dominant ideology. Between 1966 and 1968, the destruction of the Four Olds (Old Custom, Old Culture, Old Habits and Old Ideas) took place. The People’s Liberation Army (PLA) (Red Army) targeted religious and educational institutions. Priests, nuns, monks, authors, professors and artists, as well as the educated elite in general, were persecuted by destruction of property, pubic humiliations, physical violence and even death. · 1980 - After the chaos and destruction wrought by the Cultural Revolution, in 1980, the China Christian Council (CCC), an umbrella organization for all Chinese Protestant Churches, was established to help Chinese Churches by providing oversight as well as resources such as Bibles and other religious literature. · 1982 - the Chinese Communist Party issued Document 19, a detailed description and explanation of government religious policy, essentially outlining that religious practices would be permitted, although subject to the oversight and regulation of the party-state. This movement, which began in Tiananmen Square with more than 3,000 students from Peking University shouting slogans of protest and defiance and even burning down a Chinese official’s residence, soon spread to students all across China. Additionally, these mass urban protests and demonstrations went well beyond just student involvement; urban merchants, white collar workers and factory workers revealed a simmering resentment through their involvement as well. Two issues have been recognized as the impetus for the intense opposition to, and subsequent persecution of Christianity at this time, 1) China’s intellectuals perceived Christianity as crass superstition “with outlandish beliefs in a virgin birth, raising of the dead”, etc. and 2) the charge against the West and its missionaries of cultural imperialism or cultural aggression. “Early leaders in China’s Communist Party, including Mao Zedong, acknowledged the May Fourth Movement as leading directly to the founding of the party in 1921. As Marxists, the Communist leaders regarded all religion as an opium of the people, and that went double for Christianity since it was a foreign intruder.” Before the Chinese Communist Party was to overcome the Nationalist party in the Chinese Civil War and declare itself victor, and China the new People’s Republic of China, the Japanese invasion of China in 1937 diverted the attention, focus and resources of both factions. Together they turned their attention towards defeating their foreign aggressor. During this time, as Japanese forces overran segments of China, the missionaries in their path, in the areas of Japanese occupation, suffered great loss. Missionary stations were destroyed, forcing many missionaries to go home. Additionally, once Pearl Harbor was bombed and America entered the war, all American and British missionaries were deemed foreign enemies and were thus placed, more than a thousand of them, into prison camps. It was in one such camp that the famous Olympian runner-come-missionary, Eric Liddell, died. Once World War II ended, the Civil War in China recommenced. Ultimately, in 1949 the Chinese Communist Party won victory over the Nationalists and China was declared the People’s Republic of China – and was now under a communist regime. For several years after coming to power in 1949, the communist party was somewhat tolerant of Christianity as long as it remained subservient to the regime and steadfastly supported its aims and principles. In spite of the fact that foreign missionaries were deported and/or imprisoned, the Protestant Churches were ostensibly ignored. Concurrent to the events of this time and in order to abate the hostility of the state towards the Church, Wu Yao-tsung,  a Protestant Christian leader born in Guangzhou, China, along with some other Christian leaders, formed the Three-Self Patriotic Movement in 1951. (Colloquially it is known as the Three-Self Church.) It was these leaders’ publication of the Christian Manifesto, signed by 400,000 adherents, that launched the TSPM, which later, in 1954, was formally sanctioned by the Chinese government. Wu, a Congregationalist, baptized in 1918, spent some time working for the YMCA and later attended Union Theological Seminary in the United States, where he obtained a Master’s Degree in Philosophy. A proponent of the social gospel, Wu gained the reputation of a liberal-modernist among the more fundamental and conservative Christians. By definition, the TSPM is not a denomination and knows no denominational distinctions within its framework. Though its statement of faith is quite orthodox in nature, its detractors charge that the TSPM serves as an instrument for the secular Chinese government. Its “three selves” are: self-governing, self-supporting, and self-propagating. These three principals were meant to provide assurance to the government that it would be entirely free of, and independent from, any and all foreign influence, and that it would function in full support of the communist regime and its governmental regulations. The TSPM, initiated in 1951 just as the withdrawal and deportation of Western missionaries had begun, was chartered in hopes that this development would lead to a non-contentious, if not amicable relationship, between Chinese Christianity and the state powers. Obviously, this arrangement, though conceptually possible for the Protestants, by virtue of the Catholic Churches’ hierarchical structure and its professed allegiance to the Pope, could not feasibly come under such an arrangement. Some Catholics attempted to mirror this concordat with a corresponding Catholic organization (Church) called the Chinese Patriotic Catholic Association (CPCA). In many respects, this attempt failed miserably. For one, the Catholic Church of Rome was, theologically, outright opposed to this arrangement; as well as were many of the Catholic Clergy in China. Essentially what resulted in the Catholic Church, and still exists today in China, is the persistence of not one but two Catholic Churches: one allegiant to the Vatican that has consequently gone underground in China, and the other, this separate-but-part-of the Catholic Church, called the CPCA. In regard to the coming persecution, however, this distinction would grant no additional protection or safety in the years to come, as both bodies would be heavily persecuted. As these revolutionaries were unleashed upon the population, their attention turned not just towards wiping out the Four Olds, but eradicating anyone and anything that seemed “different.” Traditional Chinese values extolled being like others, being a part of the group or clan. Individualism or being different was harmful to the social order and was not tolerated. If one had foreign books, knew a foreign language, or had been abroad, that was enough to prove the person was not totally Chinese – thus justifying an attack by the red Guards. If one was a landowner, one automatically exploited the lower classes and that was reason to attack the person. If one were a government official, or one’s father or grandfather had been one, that too was a good enough excuse to be denounced and attacked. If a member of one’s family was a Christian, or worse yet a Christian clergy, that was reason to attack them. A poster from the Cultural Revolution, featuring an image of Chairman Mao, and published by the government of the People's Republic of China. In the wake of the Cultural Revolution, a thaw began to set in as the Chinese leaders began to relent. China’s new leader, Den Xiaoping, admitted to the people that the revolution’s leaders, recognizing mistakes, would embark on a new course, one that would involve less restrictions on religion (and freedoms in general) and one that would focus the country on economic growth. The government intended to interfere less in people’s lives, including in their cultural and social practices, as well as religion. It was believed that these reforms would be part of the changes necessary to help stimulate an economic upturn. From this point on the Chinese Communist Party (CCP) expressed very little concern over the specific doctrines and theologies of the Christians – just that they respect the hegemony of the state and not work in any way to undermine or challenge it. As part of the post-Mao reforms, the government re-established the old control systems of the 1950’s. Although more freedoms were being granted in the religious sphere, the state had no intentions of not continuing to monitor and control, albeit in a more efficacious way, the activities of its populace. The resumption of these mechanisms included the reviving of the TSPM, the CPA and the Religious Affairs Bureau (RAB), all of which would now operate under the direction of China’s new United Front Work Department (UFWD). Additionally, in an effort to help meet the various administrative needs of the Protestant churches, a new entity was created, also under the umbrella of the UFWD, the China Christian Council (CCC). Founded in 1980, the CCC is an umbrella organization for all Protestant churches in China. “The CCC serves to unite and provide services for churches in China by formulating Church Order, encouraging theological education through seminaries and Bible schools, such as Nanjing Union Theological Seminary, publishing Bibles and other Christian materials, and coordinating training programs for churches.” The China Christian Council (CCC) and the National Committee of the Three-Self Patriotic Movement of the Protestant Churches in China (TSPM) together are often called the Lianghui (two organizations). The picture of continuing Christian life in China and what the future will hold is an unsettled one. In regard to the Catholic Church, because the Chinese government still insists on inserting itself into the Churches’ relationship with the West, ever vigilant for possible subversive ideologies and practices, the Church remains somewhat fettered, restrained from the expression of its faith and therefore also from the growth in its numbers that otherwise might be possible were it fully unshackled. For the Catholics, the choice is twofold: join the CCPA, a registered Church, which remains under the watchful eye of the state, and thereby forego loyalty to the Vatican, or, join the underground Catholic Church, remaining unified with the Catholic Church of the West but necessarily placing itself in greater danger before the state. So, the ever-present threat and occasional implementation of persecution persists. Yet historically, not that, nor even intense, sustained persecution, has been able to eradicate the Church. In fact, as we have already discovered, it may have even served to strengthen it. In any case, persecutions have undoubtedly functioned to help transition, by necessity of the loss of foreign leadership, the growing Church towards a needed indigenous leadership. As a result, the Chinese Church continues to grow. An Optimistic Future for Christianity in China? Bays also offers some telling statistics. He says that although only about 5% of Chinese were Christians in 2007 (60 million members), that number has undoubtedly, significantly increased today. Even still that is a huge number of Christians in China. In South Korea the number is 36%, Hong Kong, 22%, Singapore 18%, Taiwan 7% and Japan 3%. By any standard, Bays says the recent growth of Christianity in China has been meteoric. Even as a persecuted Church it grew rapidly, and by 2007 there were as many Christians in China as members of the Communist party, and by 2014 the Christians have come to far outnumber them. Finally, Bays offers an estimation based on past and current growth trends (measuring the growth rate since 1980 at 7% per year during a 27-year period), that if these trends were to continue over the next fifteen years, by 2030 there would be 294.6 million Chinese Christians – more than any other nation in the world. The Christian faith is indeed growing in China, and the prospect of a future world in which more Christians reside in China than anywhere else is a real one. But China is still a communist country ruled by Marxist and socialist ideals at its core. Christianity has made remarkable headway but only under the watchful eye and vicarious control of the state powers under which, for now, it must remain. Following a century of violent anti-religious campaigns, China is now filled with temples, churches and mosques – as well as cults and sects, all of which the state continues to strive to contain and control. As opposed to the discarded, Maoist, heavy-handed approach of its previous administrations, since the assumption of Deng Ziaoping to the role of Paramount Leader of China, “in the field of religion and faith…the government has tried harder to co-opt groups than to crush them.” In this way the government has sought to loosely harness the practice of religion towards its own economic ends. Xi's administration has also overseen more Internet restrictions imposed in China, and is described as being "stricter across the board" on speech than previous administrations. Xi's term has resulted in a further suppression of dissent from civil society. Xi's term has seen the arrest and imprisonment of activists such as Xu Zhiyong, as well as numerous others who identified with the New Citizens' Movement. Prominent legal activist Pu Zhiqiang of the Weiquan movement was also arrested and detained. The situation for users of Weibo has been described as a change from fearing that individual posts would be deleted, or at worst one's account, to fear of arrest. A law enacted in September 2013 authorized a three-year prison term for bloggers who shared more than 500 times any content considered "defamatory". A group of influential bloggers were summoned by the State Internet Information Department to a seminar instructing them to avoid writing about politics, the Communist Party, or making statements contradicting official narratives. Many bloggers stopped writing about controversial topics, and Weibo went into decline, with much of its readership shifting to WeChat users speaking to very limited social circles. So it would appear that an unfettered religious climate is not yet on China’s horizon. Looking forward, Johnson sees a future in which China’s traditional religions (as opposed to those of Western origin), Daoism, Buddhism and folk religion, will be granted more relative religious space, seeing them as easier to manage. “Like the dynasties of the past, [China] will continue to push acceptable forms of faith as a way to strengthen its position as the arbiter of the nation’s moral and spiritual values.” However, this growing state support, albeit contrived to guide and control the country’s moral life for its own purposes, now wrestles with a clash of trends. One trend finds the state favoring its burgeoning religious growth, as this affords it greater contact with peoples and nations overseas, thus enhancing its global influence and power. Juxtaposed, however, is its antagonistic bias towards religious suppression, aimed at reigning in and managing all movements, religious or otherwise. Therefore, China must work hard to strike a delicate balance in which it can steer religion without alienating its followers. Alone among China’s major religions, Protestant Christianity is growing quickly among the Chinese majority, and also has extensive foreign ties. This has led the government to try sporadic efforts at control. A key question is whether the government will allow it to continue to grow or if—in its hubris and newfound wealth—it will look to achieve complete control. Johnson, though he doubts China will ever fully disencumber its religions, evidenced by its recent campaign from 2014 to 2016 to remove crosses from the tops of unregistered churches in Zhejang Province, still expects it to show a good measure of temperance. Though “we can expect more feints and thrusts from the government and growing debate among officials about how to handle religion in the new era”, China has learned that to suppress with force the inclination of its people towards religious expression – the Cultural Revolution, for example – and other such oppressive actions, may actually undermine their goal and encourage real faith. The question that now remains is how long the devout and the party-state can maintain this precarious balance. The party has granted religions that play by the rules a considerable amount of leeway, but will that be enough to satisfy those in search of a fulfilling spiritual life? When hundreds of millions of people seek fulfillment in religion after failing to find it in economic growth and the material affluence it brings -- it could be that no number of documents will be enough to keep them under the party’s thumb. If the population of believers in China continues to grow, will the ruling party remain content with the rules of engagement as set out in Document 19, or will it want to take a greater role in directing the interior lives of its citizens? In fact, will the day come when it will hardly have a say at all? No matter what its designs, great or small, will it have the ability to accomplish them? “The challenge to the state power comes from something subtler that it is helping to create: a reawakened national conscience. Religion provides a morality and frames of reference for universal aspirations – like justice, fairness, and decency – that are higher than any government’s agenda.” Johnson encapsulates well both the arduous journey that religion in China has travelled and the lessons wrought for all of us through its victories and defeats. All of us, as individuals and as corporate groups, be they religious or secular, will go through challenges and struggle. That is a given. The greater tragedy, though, would be to survive them but not to learn from them. Out of this is coming a China that is more than the hyper-mercantilist, fragile superpower that we know. It is a country engaging in a global conversation that affects all of us: how to restore solidarity and values to societies that have made economics the basis of most decisions. Perhaps because Chinese traditions were so savagely attacked over the past decades, and then replaced with such a naked form of capitalism, China might actually be at the forefront of this worldwide search for values. These are universal aspirations, and like people elsewhere in the world Chinese people feel that these hopes are supported by something more than a particular government or law. They are supported by heaven. May the Chinese people find that they do have a reason to hope and that there is a place in which those hopes can rest secure. It is not here, under heaven, where neither they nor we will find solace for our searching and for our deepest longings. It is in heaven. We are made for more. In fact, we are more – much more than we now know. This world is not our home. All of us reach for heaven though some of us may not know what our outstretched hands are really grasping for. From within our God-shaped vacuum we reach for God, eyes clenched-closed in a sort of fearful anticipation, only to find, when we open our eyes, that he’s already reaching for us. Before we’ve been able to grab his hand he’s already caressed us in a deep embrace. Thankfully that deep embrace is not reserved for me or for you alone. Jesus is not for America, he’s not for the Middle East, and he's not for China – he's for everyone. Jesus is the answer to our deepest needs, no matter who we are or where or when we live. Whether we know it or not, He is what we were created for, He is what we are destined for. And one day, when our lives are over, when our nations have fallen and our world has breathed its last, we will stand before him; all of us, each of us. Is the fate of Christianity in China certain? No. Is Christianity’s fate anywhere certain? No. But is the message of Jesus what America needs, is it what China needs, is it what the world needs? Yes. Will that message work, does it apply, does it appease, does it satisfy, and does it fulfill? Yes, and more! All of us, one and all, are foreigners to the Christian message and the Christian heart…until we are converted. Then we find our real home, we find our souls’ ultimate rest. For now, we each must satisfy ourselves with a brief and limited sojourn into Christianity. Our personal Christian history will be fraught with pain, weakness, sin, shortfalls and failures. But on into eternity our “Christianity” will be perfect; it will be flawless, impeccable. And our Christian history, individually and corporately, will be otherworldly. It will be a history created and sustained by Almighty God, and it will have no end. Now that’s a history I don’t just want to read about -- I want to experience! "9. Famous Thinkers – Mathematician Is a Creationist 1." Bible-Science Guy. February 06, 2014. Accessed May 20, 2017. https://biblescienceguy.wordpress.com/2012/09/12/mathematician-is-a-creationist/. Bays, Daniel H. A New History of Christianity in China. Chichester, West Sussex: Wiley-Blackwell, 2012. "China Christian Council." Wikipedia. May 05, 2017. Accessed May 20, 2017. https://en.wikipedia.org/wiki/China_Christian_Council. "Church of Christ in China." Wikipedia. May 08, 2017. Accessed May 20, 2017. https://en.wikipedia.org/wiki/Church_of_Christ_in_China. "Communist Party of China." Wikipedia. May 18, 2017. Accessed May 20, 2017. https://en.wikipedia.org/wiki/Communist_Party_of_China. "David Aikman." Wikipedia. May 11, 2017. Accessed May 20, 2017. https://en.wikipedia.org/wiki/David_Aikman. Dowley, Tim. Introduction to the History of Christianity. Oxford: Lion, 2014. "Edgar Snow." Wikipedia. May 02, 2017. Accessed May 11, 2017. https://en.wikipedia.org/wiki/Edgar_Snow. The Editors of Encyclopedia Britannica. "Taiping Rebellion." Encyclopedia Britannica. Accessed May 20, 2017. https://www.britannica.com/event/Taiping-Rebellion. "Encyclopedia of Contemporary Chinese Culture." Google Books. Accessed May 20, 2017. https://books.google.com/books/about/Encyclopedia_of_Contemporary_Chinese_Cul.html?id=U2cO7tjYIK0C. Fang, Serene. "A Brief History of Christianity in China." PBS. Accessed May 11, 2017. http://www.pbs.org/frontlineworld/stories/China_705/history/China.html. "History of Christianity in China." Christians In China. Accessed May 11, 2017. http://www.christiansinchina.com/history-of-Christianity-in-China/. History.com Staff. "Boxer Rebellion." History.com. 2009. Accessed May 20, 2017. http://www.history.com/topics/boxer-rebellion. Johnson, Ian. The Souls of China: The Return of Religion after Mao. New York: Pantheon Books, 2017. Lodwick, Kathleen L. How Christianity Came to China: A Brief History. Minneapolis: Fortress Press, 2016. MacCulloch, Diarmaid. Christianity: The First Three Thousand Years. New York: Viking, 2010. "Mao and The Great Leap Forward." Rutgers–Newark Colleges of Arts & Sciences. Accessed May 20, 2017. https://www.ncas.rutgers.edu/mao-and-great-leap-forward. "Northern Expedition." Wikipedia. May 16, 2017. Accessed May 21, 2017. https://en.wikipedia.org/wiki/Northern_Expedition. "One Pillar to Five Solas: A Brief History of Christianity in China." China Partnership. Accessed May 11, 2017. http://www.chinapartnership.org/blog/2017/3/one-pillar-to-five-solas-a-brief-history-of-Christianity-in-China. "Peter Parker (physician)." Wikipedia. April 12, 2017. Accessed May 20, 2017. https://en.wikipedia.org/wiki/Peter_Parker_(physician). Pletcher, Kenneth. "Opium Wars." Encyclopædia Britannica. March 09, 2017. Accessed May 20, 2017. https://www.britannica.com/topic/Opium-Wars. Record, The Presbyterian. "A Very Brief History of Christianity in China." Presbyterian Record. September 20, 2009. Accessed May 11, 2017. http://www.presbyterianrecord.ca/2007/01/01/a-very-brief-history-of-Christianity-in-China/. "Religion in China." Wikipedia. May 08, 2017. Accessed May 11, 2017. https://en.wikipedia.org/wiki/Religion_in_China. "Robert Morrison (missionary)." Wikipedia. May 19, 2017. Accessed May 20, 2017. https://en.wikipedia.org/wiki/Robert_Morrison_(missionary). Sanneh, Lamin. "Prospects for Post-Western Christianity in Asia and Elsewhere." Brown Journal of World Affairs 12, no. 2 (2005): 117-28. Accessed May 10, 2017. http://search.ebscohost.com/login.aspx?direct=true&db=aph&AN=21199435&site=ehost-live. Stacey Bieler and Carol Lee Hamrin. "Christianity Fever." Christian History | Learn the History of Christianity & the Church. Accessed May 10, 2017. http://www.christianitytoday.com/history/issues/issue-98/Christianity-fever.html. Stark, Rodney, and Xiuhua Wang. A Star in the East the Rise of Christianity in China. West Conshohocken. Pa.: Templeton Press, 2015. "Three-Self Patriotic Movement." Wikipedia. May 16, 2017. Accessed May 20, 2017. https://en.wikipedia.org/wiki/Three-Self_Patriotic_Movement. "Tianjin Massacre." Wikipedia. April 30, 2017. Accessed May 20, 2017. https://en.wikipedia.org/wiki/Tianjin_Massacre. Wu, Annie. "Christianity in China." ChinaHighlights. September 5, 2015. Accessed May 11, 2017. http://www.chinahighlights.com/travelguide/Christianity.htm. "Xi Jinping." Wikipedia. May 17, 2017. Accessed May 20, 2017. https://en.wikipedia.org/wiki/Xi_Jinping. "Y. T. Wu." Wikipedia. April 30, 2017. Accessed May 20, 2017. https://en.wikipedia.org/wiki/Y._T._Wu. Yang, Fenggang, and Joseph B. Tamney. "Exploring Mass Conversion to Christianity Among the Chinese: An Introduction." Sociology of Religion 67, no. 2 (2006): 125-29. Accessed May 8, 2017. http://search.ebscohost.com/login.aspx?direct=true&db=aph&AN=21403972&site=ehost-live. Yi, Liu. "Globalization of Chinese Christianity: A Study of Watchman Nee and Witness Lee's Ministry." Asia Journal of Theology 30, no. 1 (April 2016): 96-114. Accessed May 8, 2017. http://search.ebscohost.com/login.aspx?direct=true&db=aph&AN=115974685&site=ehost-live. Although connotations of “Chinese Christianity” vs. “”Christianity in China” appear divergent, I intend to use these two terms interchangeably and by using one or the other designation I do not intend to infer a different shade of meaning. “Chinese Christianity” might lead one to think more of Christianity as understood and practiced by people of Chinese national origin no matter where they reside whereas “Christianity in China” intimates Christianity as understood and practiced by anyone within the borders of the nation of China. This author has no such designs of distinction. Rodney Stark and Xiuhua Wang, A Star in the East the Rise of Christianity in China (West Conshohocken. Pa.: Templeton Press, 2015), 47. The Great Proletarian Cultural Revolution of 1966-1976 was one such period, among others, when regrettably, pointless, rampant, widespread destruction of valuable historical artifacts occurred. Daniel H. Bays, A New History of Christianity in China (Chichester, West Sussex: Wiley-Blackwell, 2012), 1. Kathleen L. Lodwick, How Christianity Came to China: A Brief History (Minneapolis: Fortress Press, 2016), 9. Ibid., 10. Lodwick goes on to say, regarding her sources, “This author has visited more than twenty mission archives in the United States and Great Britain. Those that have been used most extensively are at the Presbyterian Historical Society, Philadelphia; Yale Divinity School, New Haven; at the Widener Library, Harvard University, Cambridge; and at the University of London, School of Oriental and African Studies Archives, London.” Ibid., 13. The Northern Expedition was a Kuomintang (KMT) military campaign, led by Generalissimo Chiang Kai-shek, from 1926–28. Its main objective was to unify China under its own control by ending the rule of the Beiyang government as well as the local warlords. It led to the end of the Warlord Era, the reunification of China in 1928 and the establishment of the Nanjing government. "Northern Expedition," Wikipedia, May 16, 2017, section goes here, accessed May 21, 2017, https://en.wikipedia.org/wiki/Northern_Expedition. Annie Wu, "Christianity in China," China Highlights, September 5, 2015, accessed May 11, 2017, http://www.chinahighlights.com/travelguide/Christianity.htm. However, it must be noted that this assumption dismisses the possibility that the Apostle Thomas came to China and introduced Christianity to the mainland during his lifetime, the first century AD. Stark and Wang, A Star In The East, 3. Stark used two extensive surveys, the first was conducted by the Research Center for Contemporary China, Peking China in 2001 as part of the World Values Surveys. The data was gathered in face-to-face interviews of 1,000 persons between the ages of eighteen and sixty-five. The data is part of the public domain. The second survey, conducted by Horizon Lt., China’s largest and most respected polling firm was done in 2007. It too was conducted face-to-face and was comprised of a sample of 7,021 Chinese over the age of sixteen. Ibid., 7. According to Stark, very important to these estimates is the factor of underreporting by those surveyed. Stark believes, and with good indication, that because most Chinese seem to define religion as belonging to an organized religious group as opposed to consisting of practices and beliefs that one adheres to – some Chinese end up admitting they believe in Jesus Christ and yet deny that they are Christians even though they may practice their faith apart from an organized group. Stark also points to multiple other factors that may skew these numbers towards a lower count than what may reflect reality: 1) the reticence of those surveyed to speak openly about their faith to strangers, as well as 2) the somewhat antireligious stance of the government towards Christianity, influencing those polled to conceal their faith. Ibid., 4-9. These six categories were borrowed generally from Wu, Christianity in China, accessed May 11, 2017. The false starts were that of the Nestorians and that of the Mongol period. Bays does not include my “Wave 1” of Christian Infancy in his conclusion. Bays, A New History of Christianity in China, 5. Lodwick, How Christianity Came to China, 1. Nestorius, in 428, was patriarch of Constantinople, capital of the Roman Byzantine Empire. Nestorian and his adherents declared that in Jesus there were “two natures and two persons” and from this came the first real lasting schism in the history of Christianity. Ultimately “some in the Church, mostly those in Syria and Persia, insisted on a clear distinction between the divine and the human in Christ, and were eventually called Nestorians.” Justo L. Gonzalez, The Story of Christianity Volume 1 The Early Church to the Dawn of the Reformation (New York, NY: HarperOne/HarperCollins, 2010), 298-9, 302. Serene Fang, "A Brief History of Christianity in China," PBS, accessed May 11, 2017, http://www.pbs.org/frontlineworld/stories/China_705/history/China.html. Also, it should be noted that the Nestorians were condemned as heretics by the Church due to their unorthodox positions regarding the Trinity, particularly Jesus. Bays, A New History of Christianity in China, 7. Marco Polo, in the last part of the 13th Century spent seventeen years in China. During this time he made observations attesting to the presence of the early Nestorian Christians. Wu, "Christianity in China," China Highlights, September 5, 2015, accessed May 11, 2017. Additionally, the ethnic heritage of the practitioners of Nestorianism is still not known with certainty. The Han Chinese, at this time in the eighth century, did not have permanent control of Central Asia and so rather than being comprised of indigenous peoples it may be that the Nestorians were “sojourners who came overland, in the case of the Jews who settled in Kaifeng, Henan, and by sea, in the case of the Muslims, who had a mosque at the southern city of Guangzhou, Guangdong.” Lodwick, How Christianity Came to China: A Brief History, 19. "History of Christianity in China," Christians In China, accessed May 11, 2017, http://www.christiansinchina.com/history-of-Christianity-in-China/. Fang, "A Brief History of Christianity in China." Bayes, A New History of Christianity in China, 11. Diarmaid MacCulloch, Christianity: The First Three Thousand Years (New York: Viking, 2010), 271. Here Dyophysite, as used by MacCulloch, can be used interchangeable with Nestorian, used by Bays. MacCulloch, Christianity: The First Three Thousand Years, 271. Bays, A New History of Christianity in China, 13. Ibid., 14. Part of this explanation appears to be that “the elements of Christianity present seem to have been so closely tied to the foreign prescience that there was almost no influence on indigenous persons and institutions”… and “though the demise of the Yuan dynasty in 1368 did not necessarily have to entail an end to the faith in China, though it did create severe restrictions on missionaries… as the Mongols were their primary source of protection and funding,” there were additional factors at play. Back home the Black Death in 1348, internal friction and strife among the Franciscans as well as the Papacy’s abandonment of its original strategic goal of a Mongol alliance – all contributed to the decline in China missions of this period. Ibid., 14-5. Because here we have the origins of a permanent Chinese Christian presence into which the next “wave” of Christianity, the Protestant missionaries, will be forced to contend, and from which will eventually rise the indigenous Chinese Church, we will detail these events a bit more closely than the previous sections. Again, however, this will be little more than a brief sketch of the events of this period. Bays., A New History of Christianity in China, 20. Lodwick, How Christianity Came To China, 25. MacCulloch, Christianity: The First Three Thousand Years, 706. Bays, A New History of Christianity in China, 21. McCulloch, Christianity: The First Three Thousand Years, 707. MacCulloch, Christianity: The First Three Thousand Years, 707. Bays, A New History of Christianity, 29. Bays, A New History of Christianity, 31. Ibid, 36. Also, Stark, 13, calls the Catholic missionary efforts “remarkably successful” in the early 1700’s, resulting in as many as 200,000 or more Chinese converts. The Opium Wars were two armed conflicts in China in the mid-19th century between the forces of Western countries and of the Qing dynasty, which ruled China from 1644 to 1911/12. The first Opium War (1839–42) was fought between China and Britain. The second Opium War (1856–60), also known as the Arrow War or the Anglo-French War in China, was fought by Britain and France against China. In each case the foreign powers were victorious and gained commercial privileges and legal and territorial concessions in China. The conflicts marked the start of the era of unequal treaties and other inroads on Qing sovereignty that helped weaken and ultimately topple the dynasty in favor of republican China in the early 20th century. Kenneth Pletcher, "Opium Wars," Encyclopedia Britannica, March 09, 2017, accessed May 20, 2017, https://www.britannica.com/topic/Opium-Wars. Bays, A New History of Christianity in China, 37,41. Ibid., 43. Morrison was representative of the wave of Protestant missionaries that were to come to China. He was of the working-class and had only a modest education. This makes his contribution all the more astounding. Indeed, at this time open propagation of the Christian faith was still prohibited under Qing law. Ibid. "Robert Morrison (missionary)," Wikipedia, May 19, 2017, accessed May 20, 2017, https://en.wikipedia.org/wiki/Robert_Morrison_(missionary). Bays, A New History of Christianity in China, 46. "Peter Parker (physician)," Wikipedia, April 12, 2017, accessed May 20, 2017, https://en.wikipedia.org/wiki/Peter_Parker_(physician). Bays, A New History of Christianity in China, 57. Lodwick, How Christianity Came to China, 43. Bays, A New History of Christianity in China, 48. Ibid,49-50. As one of the major focuses of their writing tasks, it was during this time, 1842-1860 (before the second set of treaties enacted at the conclusion of the second Opium War), that the translation of the bible into English was renewed in earnest. Though Robert Morrison’s pioneer translation was monumental it was not scholarly. A translation project aimed at creating a version of the scriptures that would be easily accessible for the modestly educated but still acceptable to the better educated was begun in 1890. Through this effort the “Union Version” of the Bible was completed in 1919. This version, even today, is “the standard translation used by Christians in China and in overseas Chinese communities.” Ibid, 50. Ibid., 49. The treaties allowed the missionaries to travel in the immediate suburbs of these cities, just a half day’s journey as they had to return the same day. Ibid. MacCulloch, The First Three Thousand Years, 895-6. Interestingly, Lodwick, 34, states that Xiuquan was a Hakka (literally, guest), one of the five major ethnic groups living in China. The Hakka were the object of Chinese discrimination such that even in regards to the official examinations there were quotas set limiting the number of Hakka who could pass. It was at the examination grounds where Christians sometimes handed out Christians pamphlets hoping to converts scholars on their way home from the examinations. Xiuquan, having failed his civil examination four times, was indeed in great distress when after taking his exam for the fourth time was handed one of these Christian pamphlets. MacCulloch, The First Three Thousand Years, 896. Lodwick, How Christianity Came to China, 38. Stark, 17. Not only was there the immense cost of lost lives but also “The Qing dynasty was so weakened by the rebellion that it never again was able to establish an effective hold over the country. Both the Chinese communists and the Chinese Nationalists trace their origin to the Taipings.” The Editors of Encyclopedia Britannica, "Taiping Rebellion," Encyclopedia Britannica, accessed May 20, 2017, https://www.britannica.com/event/Taiping-Rebellion. MacCulloch, The First Three Thousand Years, 897. Bays, A New History of Christianity in China, 56. Stark, A Star in the East,18. Bays, A New History of Christianity in China, 67. Ibid. A long standing problem in the Catholic Church was twofold: The Chinese Catholic Church was often at odds with the Western Catholic Church to an extent that there was almost two entities. The Chinese Catholic Church, at times, appointed and ordained its own Priests, contrary to the designs of the Western Church back home. This apparent disregard for the authority of the papacy created significant friction between the two. Additionally, the Chinese Catholic Church had to operate much more underground than did the Protestant Church even during times of relative freedom due to their ties and allegiance to its “foreign interests” the Catholic Church hierarchical leadership structure of the West. Ibid. MacCulloch, Christianity: The First Three Thousand Years, 898. Tim Dowley, Introduction to the History of Christianity (Oxford: Lion, 2014), 574. These bullet points were graciously borrowed via a commixture of information from the following: Bays, A New History of Christianity in China, 68, MacCulloch, Christinaity : The First Three Thousand Years, 899 and Dowley, Introduction to the History of Christianity, 574. Bays, A New History of Christianity in China, 68. Lodwick, How Christianity Came to China, 40-1. The Boxers were practitioners of various martial art forms and from this style of training, along with their name, came the appellation, “The Boxers.” Interestingly the Boxers, early on embraced a supernatural belief that they were immune to the bullets of their enemies. They soon found that not to be true. Stark, A Star in the East, 22. History.com Staff, "Boxer Rebellion," History.com, 2009, accessed May 20, 2017, http://www.history.com/topics/boxer-rebellion. Bayer 84. The Tianjin Massacre was “one of the most important missionary incidents of the late Qing dynasty, involving attacks on French Catholic Priests and nuns… and armed foreign intervention. The riot only ended after a number of Catholic institutions and foreign buildings, including the Tientsin Cathedral and four British and American churches, were burned down. As well as the two French Consular officials, two Lazarist priests, and approximately 40 Chinese Christians were killed, as were three Russian traders assumed by the mob to be French. Ten nuns of the Daughters of Charity were raped and mutilated by the crowd before being killed. The final death toll of the riot was given at around 60.” "Tianjin Massacre," Wikipedia, April 30, 2017, accessed May 20, 2017, https://en.wikipedia.org/wiki/Tianjin_Massacre. Bays, A New History of Christianity in China, 85. Details of the Boxer Uprising were gratefully gleaned for this paper from both Stark, A Star in the East, 22-3 and Bays, A New History of Christianity in China, 85-6. Bays, A New History of Christianity in China, 87. Ibid. Of particular Historical importance is the traditional, widely held understanding that it was anti-Christian and xenophobic sentiments among the Chinese that instigated the events of the Boxer Uprising. Lodwick relates recent scholarship (and Bays, A New History of Christianity in China, 85, corroborates the same) that implicates the mass flooding-drought cycles and subsequent migration of peoples onto marginal uplands (creating famine and other social stresses) that were prime factors in setting the stage for such civil unrest. Lodwick says, “The Boxers were not anti-Qing or anti-foreign, but they became both as the occasion demanded…most of the Westerners living in China were missionaries, and they became the victim of violence because they were easy targets…” Lodwick, How Christianity Came to China, 44. Bays, A New History of Christianity in China, 95. Ibid, 106. Three previous National Christina Conferences such as this one had already taken place in 1877, 1890, and 1907. Bays reports that in China, as elsewhere, “acrimonious disputes over biblical authority, higher criticism, evolution, and the like” broke out among many of the missionaries. Some visiting theologians from the US came home appalled, reporting great dismay at the prevalence of “modernist” views of the Bible that they encountered there. Ibid. Ibid., 129-30. Bays, A New History of Christianity in China provided in full my assemblage of this section. The reader will see in these beginnings, origins similar to that of the Taiping founder, Hong Xiuquan. Ibid., 130-2. Bays, A New History of Christianity in China provided in full my assemblage of this section. Stark, A Star in the East, 58. Bays, A New History of Christianity in China, 59. Stark, A Star in the East, 59-60. These dates were variously gathered from Wikipedia.com, BritannicaOnline.com and Encyclopedia.com. Bays, A New History of Christianity in China, 28. Hays, A New History of Christianity in China, 208. Stark, A Star in the East, 29. For a few years, from 1924 to 1927, the Nationalist party and the Communist party had joined together. However, in 1927 the Nationalist party turned on the Communist party and drove it underground. In 1937 the two parties joined forces for a united front to confront the invading Japanese. "Communist Party of China," Wikipedia, May 18, 2017, accessed May 20, 2017, https://en.wikipedia.org/wiki/Communist_Party_of_China. Bays, A New History of Christianity in China, 125. Stark, A Star in the East, 39. "Y. T. Wu," Wikipedia, April 30, 2017, accessed May 20, 2017, https://en.wikipedia.org/wiki/Y._T._Wu. "Three-Self Patriotic Movement," Wikipedia, May 16, 2017, accessed May 20, 2017, https://en.wikipedia.org/wiki/Three-Self_Patriotic_Movement. "Y. T. Wu," Wikipedia, April 30, 2017, accessed May 20, 2017. Here, to acquaint the reader with the tenets of faith as espoused by the TSPM, I have included the following Statement of Faith: “The Chinese Church takes the contents of the entire Bible, the Apostles' Creed and the Nicene Creed as the foundation of our faith, the main points of which are as follows: 1.Ours is a Triune God, everlasting and eternal. 2. God is Spirit. God is loving, just, holy, and trustworthy. God is almighty Father, the Lord who creates and sustains the cosmos and all that is in it, who keeps and cares for the whole world. - Jesus Christ is the only Son of God, born of the Holy Spirit, the Word made flesh, wholly God and wholly human. He came into the world to save humankind, to witness to God the Father, to preach the gospel; he was crucified, died, and was buried. He rose again and ascended into heaven. He will come again to judge the world. 3. The Holy Spirit is the Comforter, who enables people to know their sinfulness and to repent, who bestows wisdom and ability and every grace, leading us to know God and to enter into the truth, enabling people to live holy lives, and to give beautiful witness to Christ. 4. The Church is the body of Christ and Christ is its Head. The Church is apostolic, one, holy, and catholic. The visible Church is called by God to be a fellowship of those who believe in Jesus Christ. The apostles established it as Jesus instructed them. The mission of the Church is to preach the gospel, to administer the Sacraments, to teach and nurture believers, to do good works, and to bear witness to the Lord. The Church is both universal and particular. The Chinese Church must build itself up in love and be one in Christ. 5. The Bible has been revealed by God and written down by human beings through the inspiration of the Holy Spirit. The Bible is the highest authority in matters of faith and the standard of life for believers. Through the leading of the Holy Spirit, people in different times have gained new light in the Bible. The Bible should be interpreted in accordance with the principle of rightly explaining the word of truth. It should not be interpreted arbitrarily or out of context. 6. Human beings are made in the image of God, but cannot become gods. God has given humanity dominion over all God's creation. Because of sin, human beings have diminished God's glory, yet through faith and the grace of Jesus Christ, human beings are redeemed and saved, and are granted resurrection and everlasting life. 7. Christ will come again. According to the teachings of the Bible, no one knows the day of his coming, and any method to determine when Christ will come again violates the teachings of the Bible. 8. A Christian's faith and works are one. Christians must live out Christ in the world, glorifying God and benefiting people. "Three-Self Patriotic Movement," Wikipedia, May 16, 2017. Stark, A Star in the East, 44. Lodwick, How Christianity Came To China, 65. The Great Leap Forward was to be an economic stimulus by which both agricultural and industrial production would be prodigiously increased from its current levels. The implementation of this plan would lead to the deaths of twenty to forty-three million people, most of them by starvation. His plan was an utter failure and the Great Leap Forward, in the end, essentially constituted genocide. "Mao and The Great Leap Forward," Rutgers–Newark Colleges of Arts & Sciences, accessed May 20, 2017, https://www.ncas.rutgers.edu/mao-and-great-leap-forward. Stark, A Star in the East, 47. Stark, 47. The Red Guard was formally known as the People’s Liberation Army (PLA). Lodwick, How Christianity Came To China, 66. Lodwick goes on to argue that Christians were not targeted necessarily more than anyone else, specifically because of their adherence to their religion, but rather that because they were easily distinguished as foreigners by virtue of the various expression and evidences of their faith, they were, in fact, quite heavily persecuted. Lodwick, How Christianity Came To China, 66. “Dismissing the Red Guards” is a bit of a misnomer as some of the most militant units required violent suppression by the regular army. Stark, A Star in the East, 48. Bays, A New History of Christianity in China, 44. Ibid. Let the reader recall these organizations as discussed earlier: TSPM (Three Self Patriotic Movement), the CPA (or CPCA: Chinese Patriotic Catholic Association, i.e. the Catholic Church of China). "China Christian Council," Wikipedia, May 05, 2017, accessed May 20, 2017, https://en.wikipedia.org/wiki/China_Christian_Council. Taken from the Encyclopedia of Contemporary Chinese Culture, the following provides a précis of Document 19. “Document 19, a Chinese Communist Party (CCP) directive from the Central Committee to its CCP and government cadres promulgated in 1982, is a comprehensive religious policy that was part of Deng Xiaoping’s ‘reform and opening’ (gaige kaifang). Document 19 resulted in the revival of many religious traditions in China through the gradual rehabilitation or release of many religious specialists of recognized religions (Buddhism, Daoism, Islam, Catholicism and Protestant Christianity) from prisons, the return of seized property to recognized religious organizations, and the reopening of monasteries, convents and seminaries. Although it has been further refined and adjusted by succeeding CCP directives (such as Articles 144 and 145 from the PRC State Council, promulgated by Li Peng in 1994), it remains the most comprehensive official review of past CCP religious policy and the guiding strategy for contemporary CCP religious policy—the administrative cooptation of recognized religious organizations into various state structures, the role of religion in attaining CCP goals of modernization and the building of ‘socialism with Chinese characteristics’, and the official ambivalence towards foreign religious organizations and leaders. "Encyclopedia of Contemporary Chinese Culture," Google Books, accessed May 20, 2017, https://books.google.com/books/about/Encyclopedia_of_Contemporary_Chinese_Cul.html?id=U2cO7tjYIK0C. Lamin Sanneh, "Prospects for Post-Western Christianity in Asia and Elsewhere," Brown Journal of World Affairs 12, no. 2 (2005): 122, accessed May 10, 2017, http://search.ebscohost.com/login.aspx?direct=true&db=aph&AN=21199435&site=ehost-live. Because of the importance of this document I have included the following short excerpt from Wikipedia, taken from the page on Xi Jinping, China’s current “Paramount Leader.” The "Document No. 9" is a confidential internal document widely circulated within the Communist Party of China in 2013 by the party's General Office. The document was first published in July 2012. The document warns of seven dangerous Western values: constitutional democracy, universal values of human rights, civil society, pro-market neo-liberalism, media independence, historical nihilism [criticisms of past errors], and questioning Reform and Opening. Coverage of these topics in educational materials is forbidden. The release of this internal document, which has introduced new topics that were previously not 'off-limits', was seen as Xi's recognition of the 'sacrosanct' nature of Communist Party rule over China. "Xi Jinping," Wikipedia, May 17, 2017, section goes here, accessed May 20, 2017, https://en.wikipedia.org/wiki/Xi_Jinping. Stark, A Star in the East, 70. Aikman graduated from Oxford University’s Worcester College in 1965 and gained a PhD from the University of Washington in Russian and Chinese history in 1979. "David Aikman," Wikipedia, May 11, 2017, section goes here, accessed May 20, 2017, https://en.wikipedia.org/wiki/David_Aikman. Sanneh, "Prospects for Post-Western Christianity in Asia and Elsewhere," 125. Bays, A New History of Christianity in China, 113. Ian Johnson, The Souls of China: The Return of Religion after Mao (New York: Pantheon Books, 2017), 388. Ibid. Bays corroborates the economic focus of the Chinese leadership at that time when he says, “…Christianity re-entered the public arena beginning in 1979 and 1980 riding on the coattails of Deng Xiaoping’s package of economic reforms. Under Deng’s leadership the country’s entire focus was economic growth. To facilitate this aim of growth at all costs, people were given more freedom from government interference in may aspects of their lives”…including religious expression. Bays, A New History of Christianity in China,187. Johnson, The Souls of China: The Return of Religion after Mao, 388. For readability the citation designations have been removed from the above quote but can be accessed directly from the article. "Xi Jinping," Wikipedia, May 17, 2017, accessed May 20, 2017. Johnson, The Souls of China: The Return of Religion after Mao, 389. Don Downs, a practicing Physician Assistant, enjoys deeper bible study and is currently pursuing a Masters Degree in Bible and Theology through the Rocky Mountain School of Ministry and Theology. Converted in Chicago in 1987, Don and his wife Vonda soon left for Seattle, WA as part of its original Mission Team planting. In Seattle, Don entered the Full Time Ministry and later also served on the Ministry staff in San Francisco, CA and in Indianapolis IN. After coming out of the FT Ministry Don obtained his Physician Assistant degree in Chicago at Midwestern University. After graduating he and his family moved to Denver and is now part of the Denver Church of Christ. Don enjoys Marathon running, Hiking the Colorado 14'ers and spending time with his wonderful family. He has been married for 30 years, has a married 25yo old son, Caleb and daugher-in-law Shelby, a 20 yo daughter Marin and an 11yo daughter, LinZhi whom he and his wife adopted from China over 10 years ago. Don and his family have a special interest in China after having adopted their daughter LinZhi from Guangzhou, China. Both of Don and Vonda's children have shown a great heart for China and the Church there. Caleb graduated from Colorado State University with a degree in International Studies and a Minor in Mandarin. He spent eight months in China and fell in love with the people and the church in Guangzhou. Marin has just concluded her Sophomore year of College and though she loves the Campus Ministry in Denver Colorado, she is excited to, In August of 2017, leave for a year in China to work with the Church in Guangzhou. In December of 2017, Don, Vonda and LinZhi will be making their first trip back to China since adopting LinZhi over 10 years ago. The Downs family hope to be able to help serve the church there in the future.